John Hayes Simonds' death in 1946 marked the beginning of the end of the Newlands Estate, most of which was sold at Auction in 1947. All of the local newspapers published news items on his death, and most of them also reported both on the funeral at Arborfield and on the Memorial Service held in Reading, listing all of the important people attending. DEATH OF MR. J. H. SIMMONDS: BUSINESSMAN AND SPORTSMAN. One of the county’s best-known personalities, Mr. J. H. Simmonds, died suddenly at his home, “Newlands,” Arborfield, in the early hours of last Thursday morning. He was in his 68th year. Son of the late John Simmonds, Mr. Simmonds married Miss A. R. Sturges, of Barkham, in 1911. There is one son and two daughters- Major J. A. H. Simmonds, Mrs. Walker and Mrs. Hart. After leaving Oxford, Mr. Simmonds entered the bank of J. and C. Simmonds, which was acquired by Barclays Bank, Ltd., in 1913. He became a local director of the company, and later joined the board of directors. He was also chairman of directors of the Reading Building Society. Among his numerous social interests was the Berks Territorial Association, with which he was associated for many years. He was chairman for 14 years, an appointment he gave up last year. During the last war he served with the Arborfield platoon of the Home Guard. He was president of the Wokingham and District Agricultural Association, chairman of the Reading Savings Committee during Warships Week, and treasurer of the Garth Hunt - an organisation with which he had been associated most of his life. 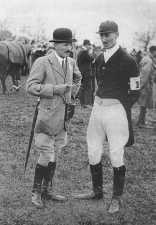 He was treasurer of Berkshire Playing Fields’ Association, Berks County Cricket Club, Reading Rowing Club, and also a member of the committee of the Berks Miniature Rifle Association, the Y.M.C.A. War Service Funds and the Reading Poppy Day collections. He was officially associated with the Wokingham Club, Arborfield Cricket Club and the Reading and District Christmas Fat Stock Society. Following a sudden illness, the death occurred in the early hours of Thursday morning of Mr. John Hayes Simonds, C. B., at his residence, Newlands, Arborfield. 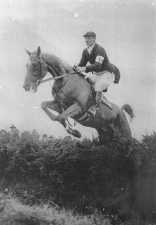 Mr. Simonds, who was in his 68th year, had seemed in perfect health on the previous day when he had attended the South Berks Pony Show at Calcot. He was the son of the late John Simonds. One of the best-known figures in Reading and the county, Mr. Simonds was a director of Barclays Bank, Ltd., of H. and G. Simonds Ltd., and chairman of directors of Reading Building Society. He was a Deputy Lieutenant for the county and had been a Reading borough magistrate since 1934. In July last year he relinquished the position of chairman of the Berkshire Territorial Association, which he had held for fourteen years. He had been a member and treasurer of the Association for many years. He was also a trustee of Reading Savings Bank. Since 1929 he had been Reading Borough Treasurer. Educated at Wellington College and Magdalen College, Oxford, Mr. Simonds took his B.A. in 1900. From Oxford he entered the Reading bank of J. and C. Simonds, which had been founded in 1813 by Charles Simonds. He subsequently became a partner in the bank, and when it was acquired by Barclays Bank, Ltd., in 1913, he became a local director of that company. Later he joined the board of directors o Barclays Bank Ltd. His association with H. and G. Simonds as director extended for some 20 years. It was in 1900 that Mr. Simonds was commissioned into the 1st Battalion, Royal Berkshire Regiment, subsequently the 4th (T) Battalion. He retired in 1911 but later rejoined the 2/4 Battalion in 1914 as Major, and served in France. In the last war he served with the Arborfield platoon of the Home Guard. Mr. Simonds was a man of wide interests and he held office in a number of organisations in the locality. He was treasurer of Berkshire County Cricket Club, Reading Rowing Club, Berkshire Playing Fields Association, of which he was also a member of the executive committee; Berks Miniature Rifle Association, Reading Poppy Day collections, the Y.M.C.A. War Service Fund in Berkshire, and many other bodies. Among other organisations with which been officially associated were the Wokingham Club, Reading and District Fat Stock Society and Arborfield Cricket Club. He was hon. treasurer of the local fund for the Royal Show at Reading in 1926. Mr. Simonds was actively involved with the Savings drive during the war and was chairman of the committee of Reading Warships Week and chairman of the Bonds Committee of the Salute the Soldier campaign locally. Although interested in all sports, Mr. Simonds had closest associations with hunting. He had been a member of the Garth almost all his life, and had been treasurer since the death of his father in 1929. In his younger days he had been a useful rugby player and had appeared for Berkshire Wanderers on frequent occasions after leaving Oxford. In 1911, Mr. Simonds married Miss Aline Rhoda Sturges, daughter of Mr. Edward Murray Sturges, of Barkham. The sympathy of their many friends will go out to Mrs. Simonds and the son and two daughters – Major J. A. H. Simonds, Mrs. Walker and Mrs. J. F. Hart. The funeral will take place on Saturday at 3 p.m. The death of Mr. J. H. Simonds of Newlands, Arborfield, will be deeply regretted by a wide circle of friends. Newlands has long been in possession of the Simonds family, and some of their memorials may be seen in the churchyard of the old ruined church of St. Bartholomew’s at Arborfield. The Liberty of Newland was once part of the Manor of Sonning and was included in the Bishop’s Bear Wood. The eastern part remained open and unenclosed until 1814. About 1830, John Walter, of The Times, purchased from the Crown a large portion of this land for the laying-out of his park and the erection of his house. The remaining portion has for many years been held by the Simonds family, who, under the Enclosure Act of 1814, added considerably to their estate. In ancient deeds, Newland is mentioned in a variety of forms: thus, in 1230 it is "Nova terra"; a century later it is "Nywelond"; and in the middle of the 15th Century it is "Newelonde". When the 'Reading Mercury' of 28th September reported that a new Reading Borough Treasurer was appointed, it recorded that tributes were paid to his predecessor, J. H. Simonds. The following week, 5th October, the 'Reading Mercury' reported on the Wokingham Rural District Council, mentioning that Major M. Simonds was appointed treasurer to the Council in succession to the late Mr. J. H. Simonds. Life went on for the grieving family. That same week, on 4th October, the 'Reading Standard' carried a photo of the Wokingham & District Agricultural Show held on Saturday 28th September. The photo caption read: 'The President, Lieutenant-General Sir Robert Sturges presents a rosette to his sister, Mrs John Simonds (on horseback)'. The show was at Woodcray Manor Farm, Finchampstead Road. Also, the 'Reading Mercury' of 5th October carried photos of the event, including one captiooned: 'Mrs Simonds presenting the cup for the best turned-out team at the ploughing match to Mr. W. H. Woolford'.